what we love the most about our eyewear is, when we get the feedback from you – our beloved customers saying how much you enjoy wearing our product. Without each and every one of you, who encourage us through your emails, tagged photos on Instagram or Facebook, or even just a small comment like or short message. It wouldn’t make sense to continue what we do here at Yacht Club Accessories, if it wasn’t for all of you. ,,I’ve had so many sunglasses over the years and all got scratched, broken or just fell apart quickly so I never bought the same brand again as I was never fully satisfied. 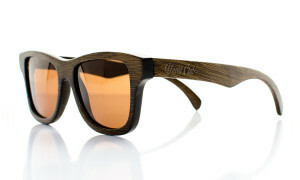 That was until I heard of Yacht Club Accessories, a Slovak brand making special wooden sunglasses. They are eco-friendly (I am so into green life) and durable. 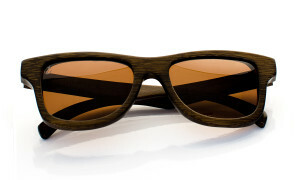 I am the proud owner of an elegant brown SeaCrusher pair and I simply LOVE the lightweight frame and polarised lenses. The brownish/yellowish lenses are great to look through even when it’s getting darker, e.g. at sunset time as they are not very dark and when others cannot wear sunglasses any more, I still can. And I have to be honest with you… every single person who has ever seen me wearing the sunglasses, asked the very same question. What brand is it? They all confirmed they are so awesome! Bonus for me? The sunglasses float so thy cannot drown if I accidentally dropped them in the sea. And they also fit with every outfit, both very stylish or very sporty one. Yay! Bonus for you? Free worldwide delivery, which will come with signature anchor bracelet. So Cool!